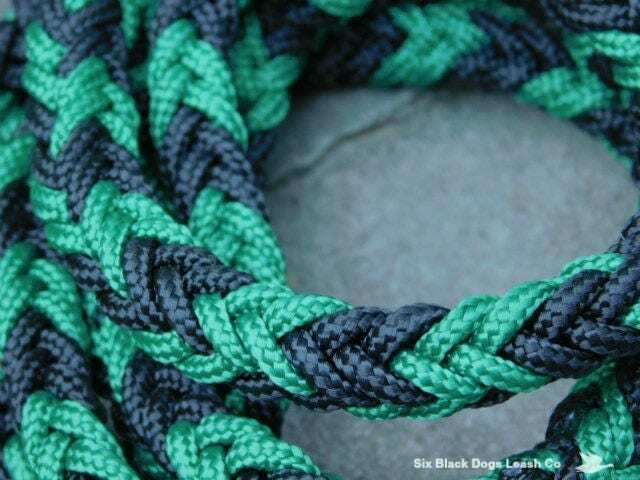 Kelly Green and Black 3 1/2 ft slip lead. 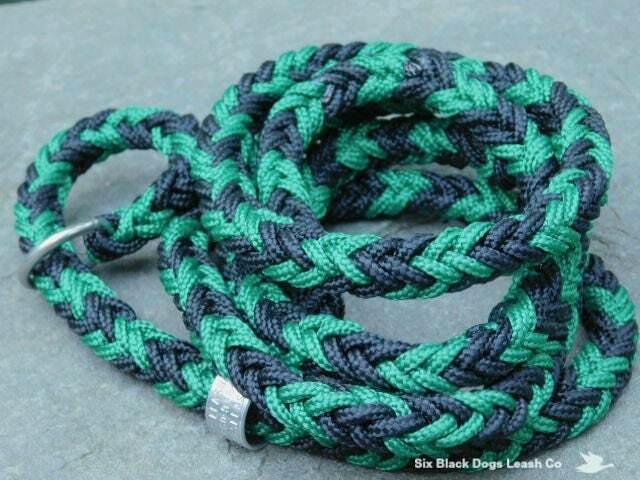 This slip lead was made using 325 paracord with the 8 strand round braid design. Makes for a bit more substance even though its a smaller diameter paracord. This slip lead is 3 1/2 feet total including the handle. Handle is approximately 5" in length. Welded 1" steel "O' ring allows for flexibility in neck size. To finish off, each of the 8 strands has been woven back into the leash and/or handle and the ends lightly melted.